Call-out via Cumbria Police for a 19 yr old casualty with a dislocated knee at Rank Bank, Eskdale. The casualty had been climbing but dislocated the knee off the crag. The casualty was carried by stretcher to the Eskdale Outward Bound and then taken to hospital in their vehicle. Incident closed later that evening with 13 team members involved. Incident started at 17:30. 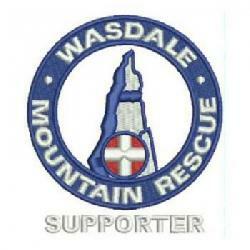 There were 13 Wasdale team members involved and the incident occured at NY 14770 00365 (79m).